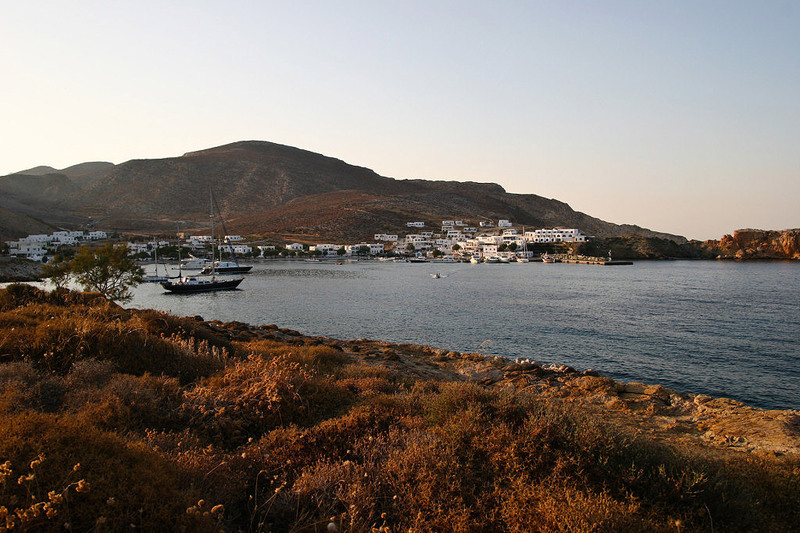 Shining under the Aegean sun, Folégandros was named after the son of king Minos. 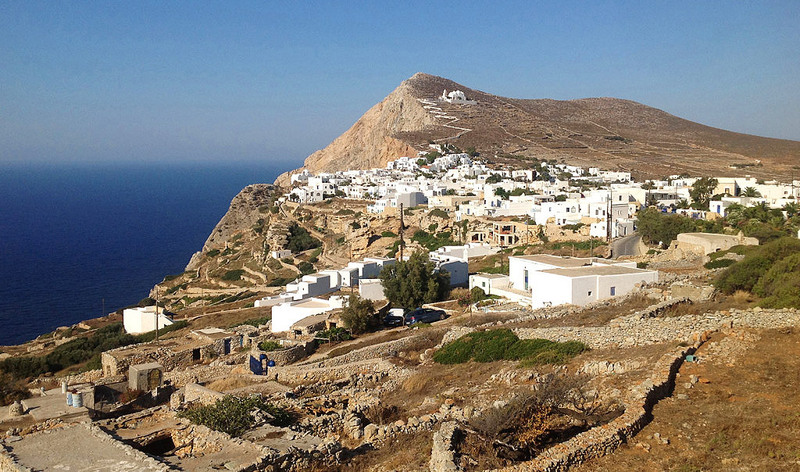 This off-the-beaten-path destination captivates the visitors with the untouched beauty of its beaches, the luminous blue of its waters, and the unadulterated style of its architecture. 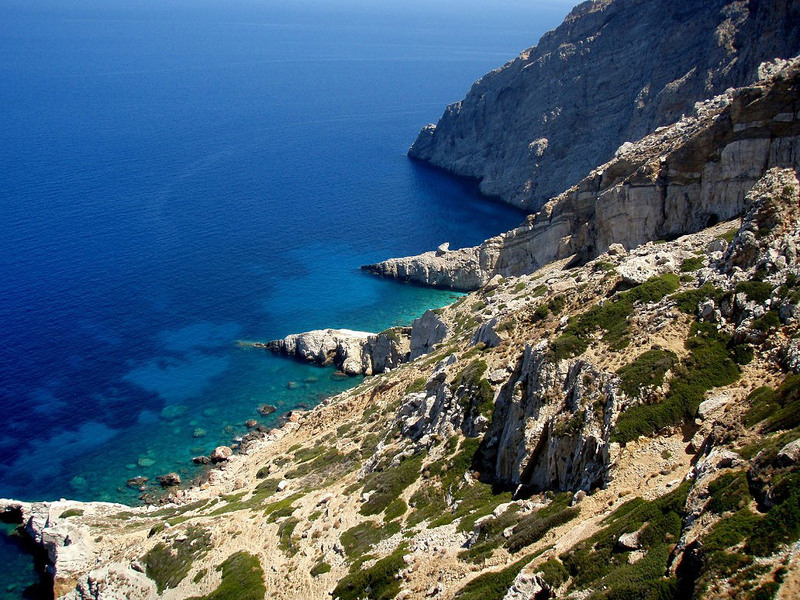 At 200m above sea level travelers will discover Kástro, a Venetian castle. Hóra, the capital town of the island, it's been built partially in it. Bougainvilleas leaning over the balconies, sugar-cube whitewashed houses, and sheer cliff drops convey the island’s ethereal, yet wild, beauty. 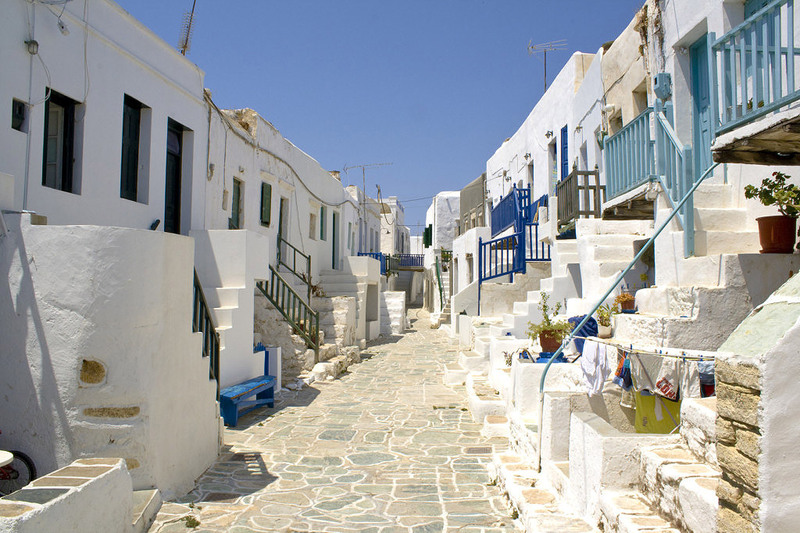 Walk along the cobblestone narrow streets of Hórapast white houses with multi-coloured doors and windows, timeless creations of the traditional Cycladic architecture. If you need to take a rest, plane trees will offer you their cool, welcome shade. 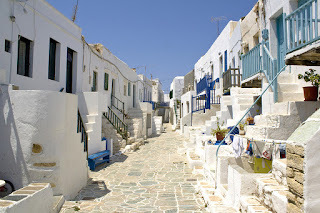 Wait until the sun sets into the eternal blue of the Aegean and join the locals in the village’s squares. Share with them homemade dishes and local delicacies, such as “matsáta” (handmade noodles with rooster or rabbit), sourotó (white goat cheese), and drink “rakómelo” (rakiwith honey) the famous spirit of the island. 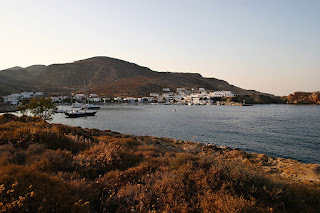 Here you will find most of the island's fine hotels. 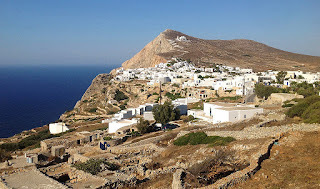 AnoMeria: This picturesque rural settlement of the 19th century is dominated by houses (themonies), small agricultural and animal breeding units. These are scattered around, co-existing with new residencies and tourist lodgings. Also worth seeing is the Folk Museum of the village. Chrysospillia (Golden Cave): Set on a steep high rock, it features stalactites, stalagmites and numerous male names of ancient teenage Greeks carved on the walls (believed to be personal signatures in coming of age ceremonies). 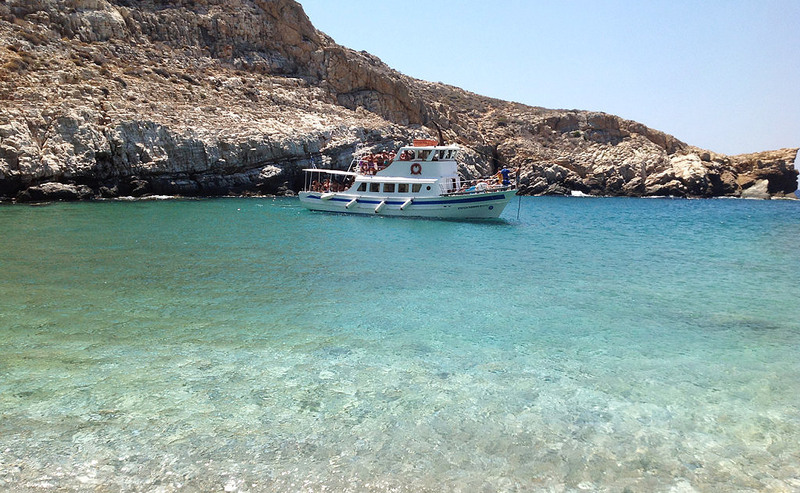 This small island in Cyclades is full of pebbly beaches covered with tamarisk trees. The scenic harbour of Karavostássis with its beautiful beach is the perfect starting point for an exploration of the glorious beaches of Hohlídia, Vitzétzo, Latináki, Pountáki and Livádi, a village with a sandy beach, turquoise waters and a camping site. 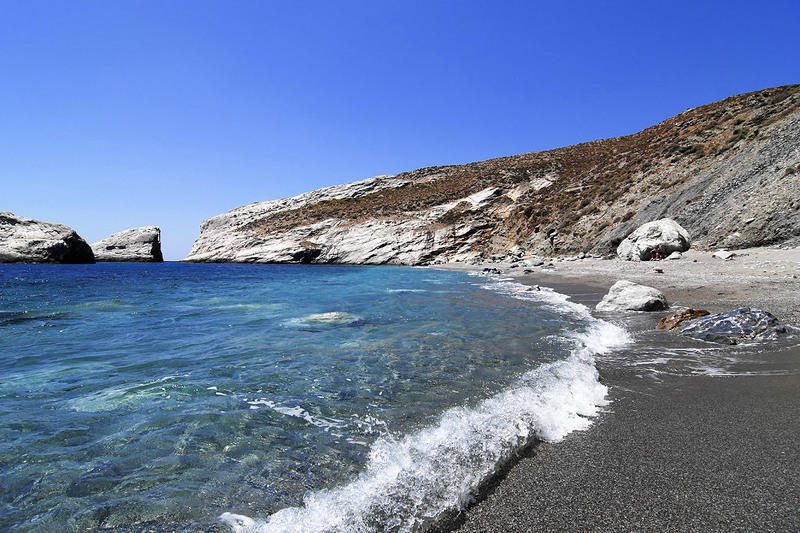 Those of you, who don't feel like walking, can take a caique from Karavostássis to Kátergo, the most beautiful beach on the island, with thin pebbles and crystal-clear waters. 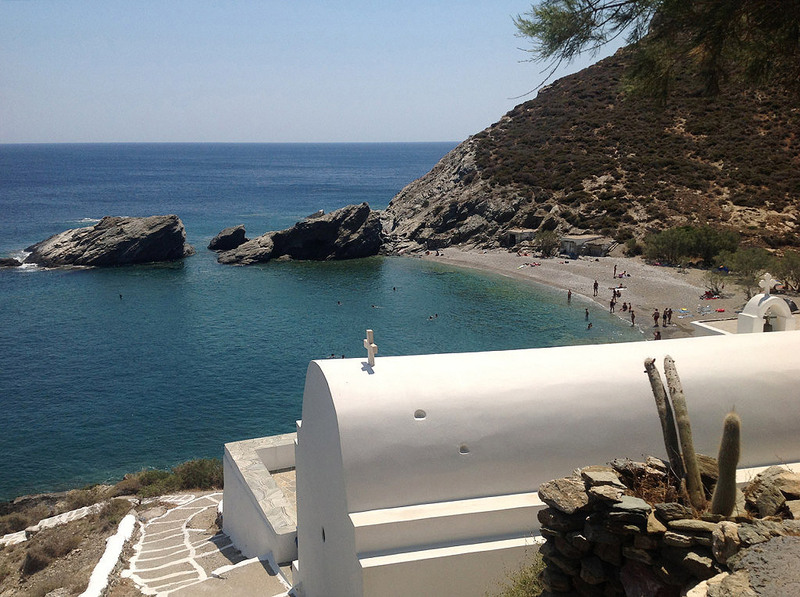 Sheer cliff drops and azure waters embrace Agali beach to the west of the island. 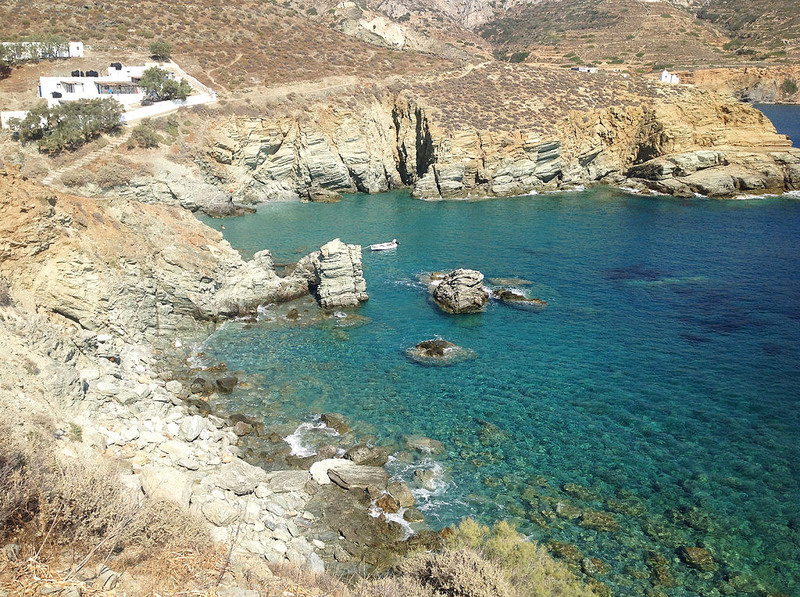 A trail from here will take you to the clothing-optional beach of Ayios Nikólaos, where a small taverna with delicious food and a marvelous view awaits you. 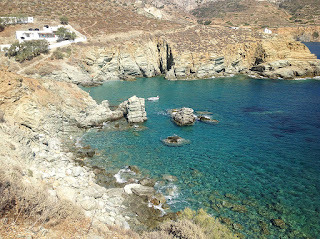 In the northeastern part of the island lie the beaches of Voriná, with green stones peculiar-to-Folégandros, AyiosGeórgios and Serfiótiko, accessible only by cacique or on foot. 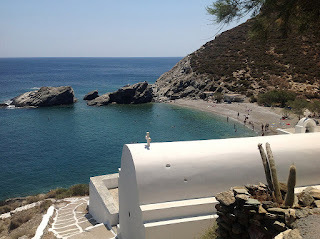 Folegandrosis a favourite place for sea sports aficionados, such as windsurfing and snorkelling, and every August the Nautical Club of Folegandros holds swimming races and regattas in Karavostassi and Agkali.